The JVC HR-3300 VIDSTAR is the worlds first VHS-based VCR to be released to the market, introduced by the president of JVC at the Okura Hotel on September 9,1976. Sales started in Japan under the name Victor HR-3300 on 31 October 1976, foreign sales followed in 1977 with the HR-3300U in the United States, and HR-3300EK in the United Kingdom. 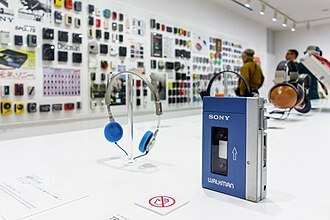 In 2008, the HR-3300 became the first VCR to be registered with the National Museum of Nature and Science, based in Tokyo and it was noted as one of the 85 most disruptive ideas by Business Week in 2014. 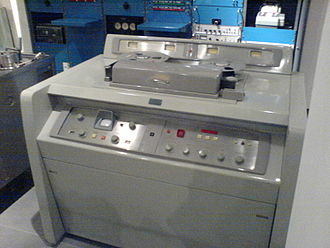 The first VCR system sold directly to users was 1963s Telcan from the UK. 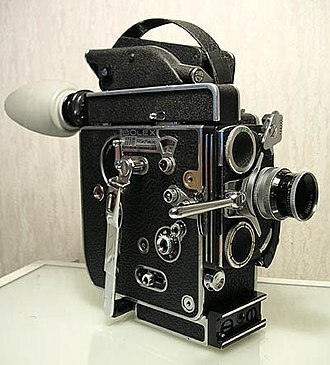 Sonys CV-2000 was a system based on commercial 1⁄2-inch tape on open reels. 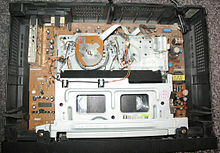 In order to tape, the system recorded every other frame of the television signal. 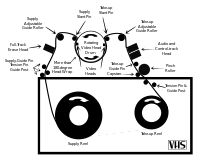 Similar models from Ampex and RCA followed that year, the number of open-reel VCRs continued to increase during the late 1960s, leading to the EIAJ-1 standard for 1⁄2-inch tape on a 7 inch reel. 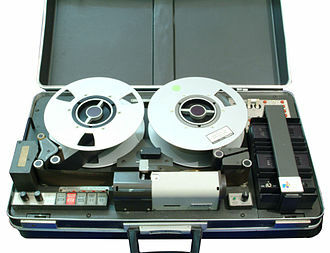 The follow-up EIAJ-2 built the take-up reel into the VCR body, in September 1971, Sony introduced the U-matic format, aimed at professional users, which replaced the open reels with a cassette. 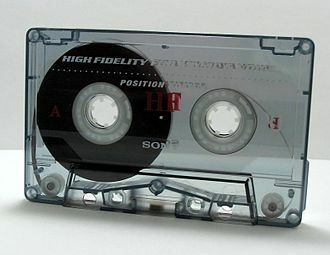 The next year Philips introduced the Video Cassette Recording format specifically for home users, over the next five years, a number of companies introduced similar cassette-based home formats, all of which were incompatible. Among the better examples are Sanyos V-Cord from 1974, Sonys Betamax from 1975. 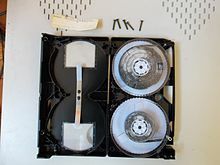 JVC engineers Yuma Shiraishi and Shizuo Takano led the effort in developing the VHS tape format starting in 1971, the project started off by designing guidelines for VHS, creating a matrix on a blackboard called the VHS Development Matrix. Included in the matrix was a list of objectives in building a video recording unit. 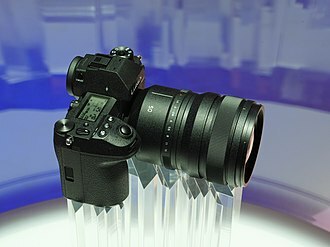 The HR-3300 is a result of these objectives, soon after the matrix was produced, the commercial video recording industry in Japan took a financial hit. As a result, JVC cut its budgets and restructured its video division - even going as far as shelving the VHS project, despite the lack of funding for the VHS project and Shiraishi continued to work on the project in secrecy within the video division. Kenjiro Takayanagi was a Japanese pioneer in the development of television. 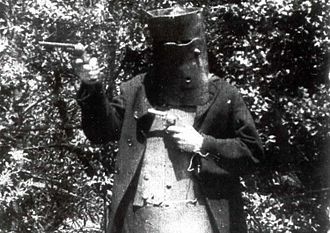 Although he failed to gain recognition in the West, he built the worlds first all-electronic television receiver. 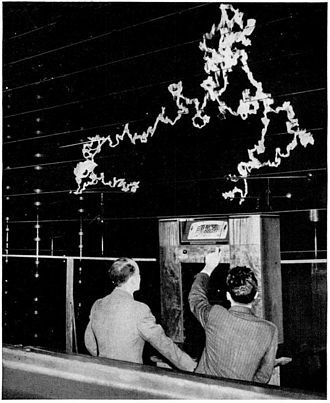 In 1925, Takayanagi began research on television after reading about the new technology in a French magazine and he developed a system similar to that of John Logie Baird, using a Nipkow disk to scan the subject and generate electrical signals. But unlike Baird, Takayanagi took the important step of using a cathode ray tube to display the received signal, on December 25,1926, Takayanagi successfully demonstrated his system at Hamamatsu Industrial High School, where he was teaching at the time. The first picture he transmitted was of the Japanese katakana character made up of 40 scan lines and this was several months before Philo T. Farnsworth demonstrated his first fully electronic system in San Francisco on September 7,1927, which did not require a Nipkow disk. In subsequent years, Takayanagi continued to play a key role in the development of television at NHK and at JVC and he was involved in the development of color television and video tape recorders. 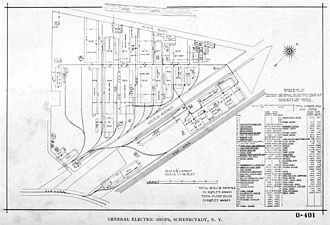 Funai Electric Company, Limited is a Japanese consumer electronics company headquartered in Daitō, Japan. Funai is the OEM providing assembled televisions and video players/recorders to major corporations such as Sharp, Denon, Funai manufactures printers for Dell and Lexmark and produces printers under the Kodak name. 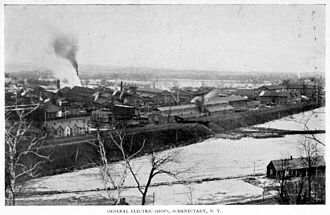 Funai was founded by Tetsuro Funai, the son of a machine manufacturer. During the 1950s before the company was formed, Funai produced sewing machines and was one of the first Japanese makers to enter the United States retail market, the introduction of transistor technology had begun to change the face of the electronics market. The Funai company was formed, Tetsuro Funai became CEO for 47 years and a billionaire. 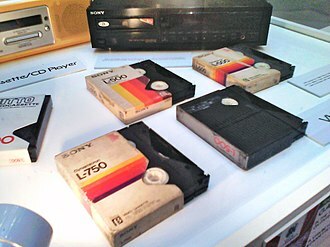 In 1980, Funai launched a sales and manufacturing subsidiary in Germany, Funai developed the Compact Video Cassette format in the same year, a joint development with Technicolor, trying to compete with VHS and Betamax. Sales were poor and not well-received due to ongoing VHS vs, beta war, and the CVC format was abandoned a few years later. Funais belief in lower prices, high production quantities, without sacrificing quality, were their biggest keys to success. 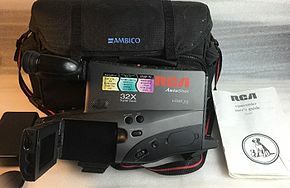 By the late 1980s, Funai quickly became the largest 2-head mono VHS video cassette recorder manufacturer in Japan, in 1991, a U. S. sales subsidiary was established in New Jersey, and it began to sell cathode ray tube televisions. 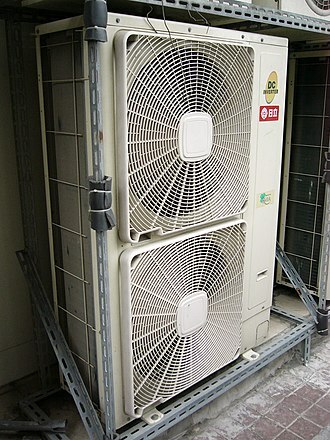 In 1992, Funai canceled its contract from Shintom due to the rising cost of VCR chassis mechanism and the expensive Japanese labor and this creative move dramatically boosted up profits and reduced VCR prices down fast. 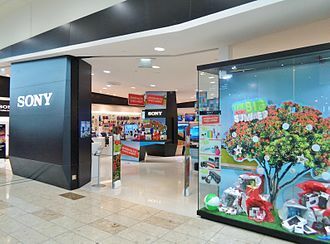 Funai developed a new, permanent strategy in 1993 by opening two new factories in China, which transferred all VHS VCRs production out from Japan. By 1997, Funai became the first manufacturer to sell a new VHS VCR below $100 for the North American Market, Tetsuro Funai, the founder, became Japans very first billionaire electronic CEO. 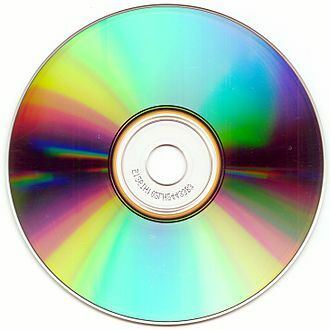 Later, the DVD technology was formed, and by 2001, by then, Funais U. S. subsidiary had relocated to Torrance, California. Akihabara is a common name for the area around Akihabara Station in the Chiyoda ward of Tokyo, Japan. The area called Akihabara mainly belongs to Sotokanda district, Akihabara gained the nickname Akihabara Electric Town shortly after World War II for being a major shopping center for household electronic goods and the post-war black market. 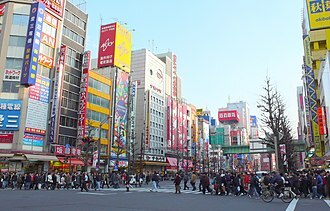 Nowadays, Akihabara is considered by many to be a cultural center and a shopping district for video games, manga. Icons from popular anime and manga are displayed prominently on the shops in the area, the main area of Akihabara is located on a street just west of Akihabara Station, where most of the major shops are situated. Most of the shops are just west of the station, and the anime and manga shops. As mentioned above, the area called Akihabara now ranges over some districts in Chiyoda ward, Kanda-Hanaokachō, the administrative district called Akihabara exists in Taitō ward and borders on Sotokanda at the middle of Akihabara and Okachimachi stations, but its half is occupied by JR tracks. The area that is now Akihabara was once near a city gate of Edo and this made the region a home to many craftsmen and tradesmen, as well as some low class samurai. 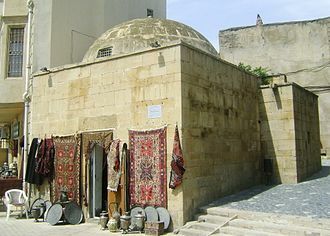 The locals nicknamed the shrine Akiba after the deity that could fire. After Akihabara Station was built in 1888, the shrine was moved to the Taitō ward where it resides today. Since its opening in 1890, Akihabara Station became a freight transit point. Then, in the 1920s, the station saw a large volume of passengers after opening for public transport, and after World War II, the black market thrived in the absence of a strong government. This disconnection of Akihabara from government authority has allowed the district to grow as a market city and this new specialization brought in a new type of consumer, computer nerds or otaku. The market in Akihabara naturally latched onto their new customer base that was focused on anime, manga, on Sunday 8 June 2008 at 12,33 JST, a man drove into a crowd with a truck, stabbed at least 17 people using a dagger. 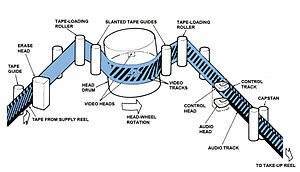 Analog recording is a technique used for the recording of analog signals which, among many possibilities, allows analog audio and analog video for playback. 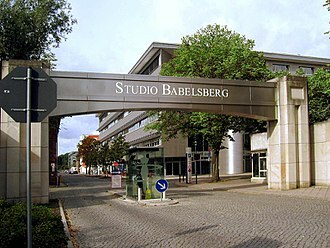 Analog recording methods store signals as a signal in or on the media. 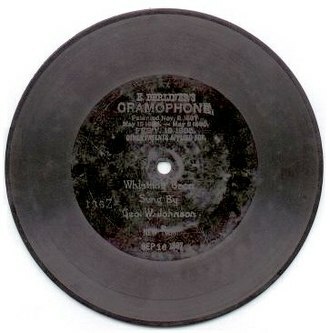 The signal may be stored as a texture on a phonograph record. This is different from digital recording which digital signals are represented as discrete numbers, the Phonograph was the first machine used to capture analog sound, and was invented by the well-known inventor Thomas Edison in 1877. 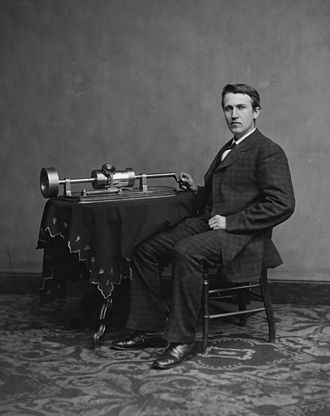 Edison incorporated various elements into his Phonograph that would become staples that can be found in recording devices to this day, for a sound to be recorded by the Phonograph, it has to go through three distinct steps. 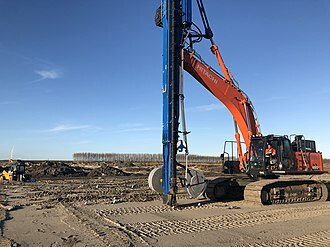 First, the sound enters a cone-shaped component of the device and that sound causes the microphone diaphragm, which is connected to a small metal needle, to vibrate. The needle vibrates in the way, causing its sharp tip to etch a distinctive groove into a cylinder. 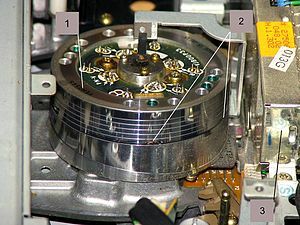 In order to playback the sound recorded on one of the tinfoil cylinders, as the cylinder spins, the needle follows the groove created by the previous recording session. This causes the needle to vibrate, and the diaphragm and this vibration comes out of the diaphragm, which is now functioning as a sort of sound amplification device, much like the bell on any wind instrument. The result is a reproduction of the originally recorded sound. Edisons phonograph was the first of its kind, but drawbacks were nevertheless obvious, the biggest of these, and the one that ended up being fixed first, came from the physical contact between the phonograph needle and the tinfoil diaphragm. Because the needle had to make contact with the groove in the diaphragm every time the recording was played. This meant that every time a recording was played, it was one step closer to being gone forever. Another problem with the phonograph was the permanence of its recordings, unlike music today, which can be edited endlessly, the music captured by phonograph machines were single-take, live recordings. S-VHS, the common initialism for Super VHS, is an improved version of the VHS standard for consumer-level video recording. Victor Company of Japan introduced S-VHS in Japan in April 1987 with their JVC-branded HR-S7000 VCR, like VHS, the S-VHS format uses a color under modulation scheme. S-VHS improves luminance resolution by increasing luminance bandwidth, increased bandwidth is possible because of increased luminance carrier from 3.4 megahertz to 5.4 MHz. Increased luminance bandwidth produces a 60% improvement in picture detail, or a resolution of 420 vertical lines per picture height – versus VHSs 240 lines. The often quoted horizontal resolution of over 400 means S-VHS captures greater picture detail than even NTSC analog cable and broadcast TV, in practice, when time shifting TV programs on S-VHS equipment, the improvement over VHS is quite noticeable. Yet, the eye can easily spot the difference between live television and a S-VHS recording of it. This is because S-VHS does not improve other key aspects of the video signal, in VHS, the chroma carrier is both severely bandlimited and rather noisy, a limitation that S-VHS does not address. 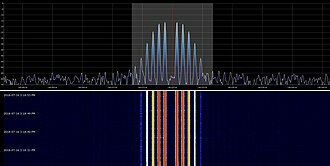 Poor color resolution was a deficiency shared by S-VHSs contemporaries, such as Hi8, regarding audio recording, S-VHS retains VHSs conventional linear and high fidelity – Audio Frequency Modulation soundtracks. Some professional S-VHS decks can record a pulse-code modulation digital audio track, along with the video and Hi-Fi stereo. As an added bonus, due to the bandwidth of S-VHS. As a result, this data is able to be decoded and displayed on-screen as an overlay of the conventional TV picture. A suitably teletext-equipped receiver/decoder displays the recorded teletext data information as if the video were being viewed as a live broadcast. 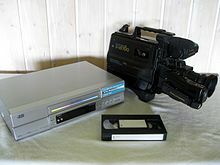 S-VHS video cassette recorders and cassette tapes are nearly identical in appearance and operation, older VHS VCRs cannot play back S-VHS recordings at all, but can record onto an S-VHS tape in the basic VHS format. 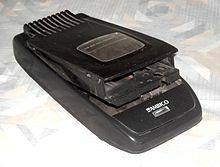 Newer VHS VCRs, depending upon their specification, offered a feature called S-VHS quasi-playback or Super Quasi-Play Back, SQPB lets basic VHS players view S-VHS recordings, though reduced to the lesser VHS quality.